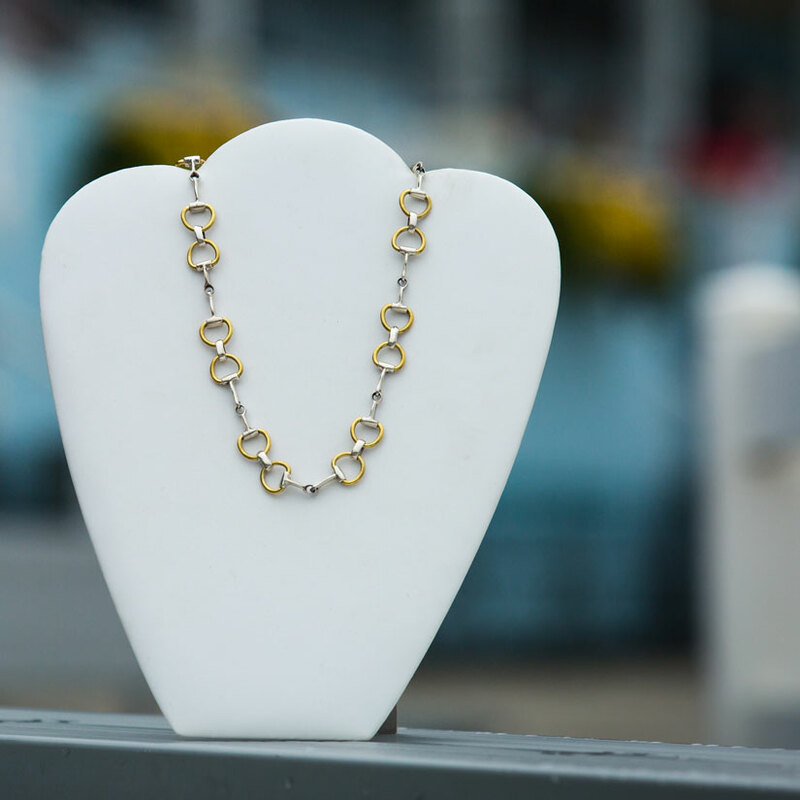 Always high the the list of timeless styles, this Sterling Silver Snaffle Bit Bracelet with gold tones of brass is one you need to have in your collection. Finely detailed and articulated links lay beautifully on the wrist. Looking for the necklace to match? Find it here!